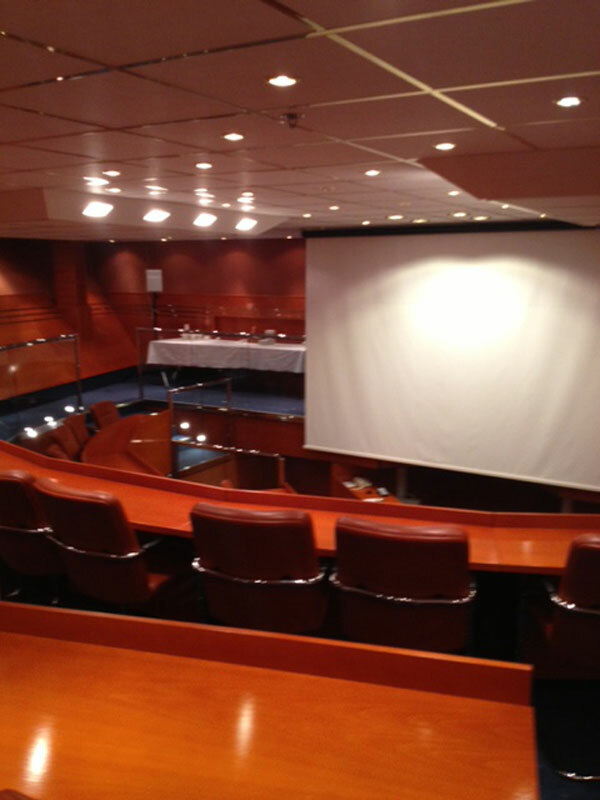 At the beginning of February 2013, Rebecka Blenntoft was the guest of Jens Grubl, Product Manager of SAGA Spatech, Finland to lecture to Finnish Vet Physiotherapists about the human and equine lymphatic systems, what happens when they become compromised and the treatments available; lymphatic drainage with DEEP OSCILLATION®, compression (bandaging and kinesio taping) and wound healing, amongst other topics on the agenda were healthy equine diets. 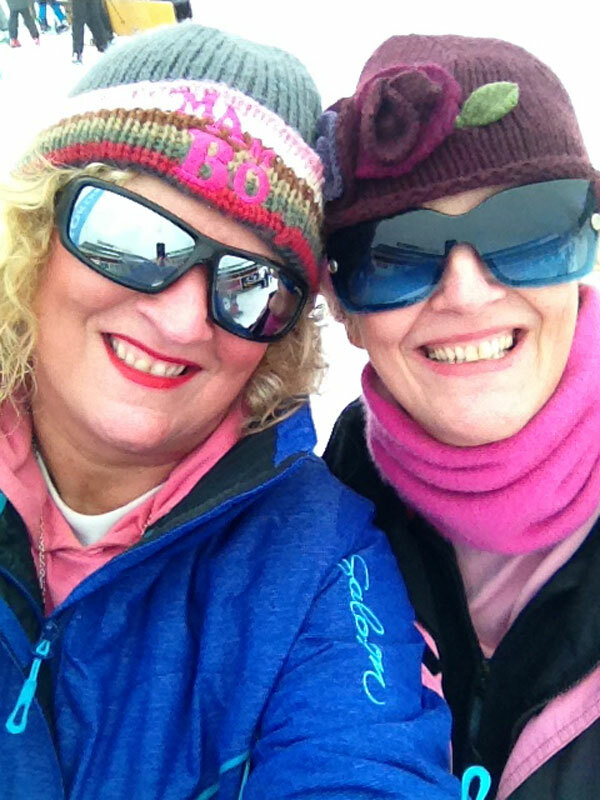 Julie Soroczyn and Mary Fickling, Directors of PhysioPod UK Limited accompanied Rebecka as they are the company soley responsible for introducing DEEP OSCILLATION® to the equine world in the UK/Ireland six years ago. 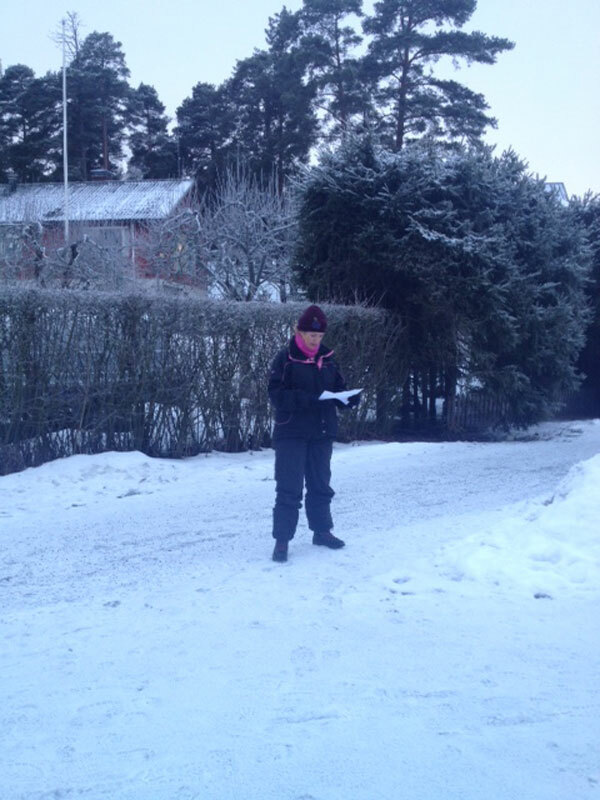 "I was kindly recommended to Jens Grubl at Saga Spatech in Finland by PhysioPod™ UK Ltd at the end of last year, with a view to running an Equine Workshop. 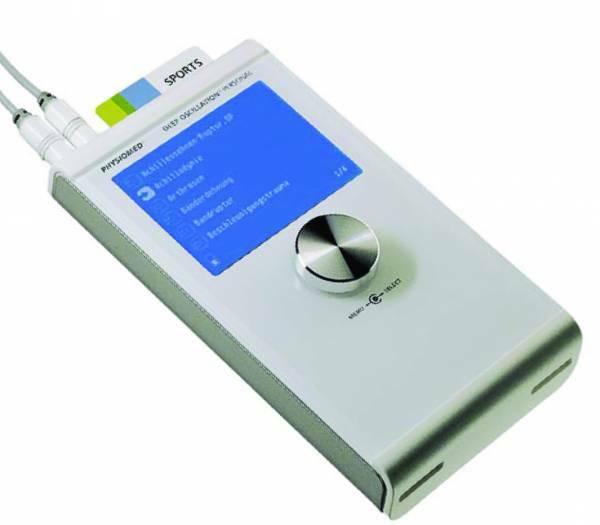 Saga Spatech are the Finnish distributors for PhysioMed Elektromedizen, who make the DEEP OSCILLATION® unit that I use in my human and equine practice. 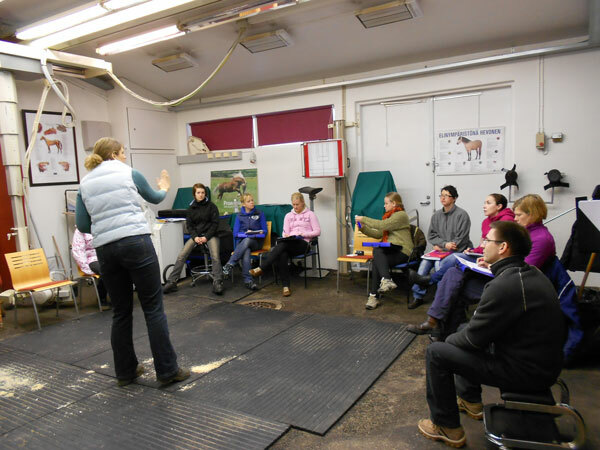 Jens was keen to show vets and veterinary physiotherapists (these are trained to the same level as ACPAT veterinary physiotherapists in the UK) how DEEP OSCILLATION® works on horses. 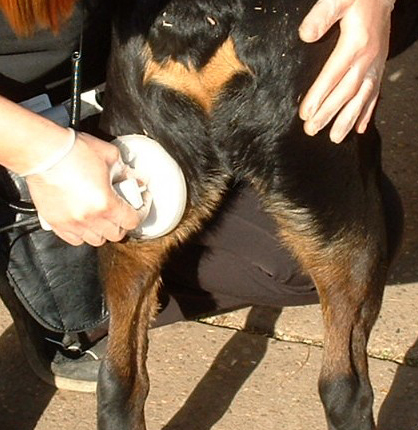 He also felt it would be interesting to combine it with an introduction to Equine Manual Lymph Drainage. This is a relatively new therapy in the UK and has mainly been adapted from techniques used in human lymphatic drainage, combined with research from the Veterinary University at Hannover in Germany. The date was set for the 1st and 2nd of February and although I had a mild panic when I heard that temperatures in Finland had dropped to minus 20 C , the travel arrangements were made and the Finnish weather started to behave itself and return to minus 2 C! 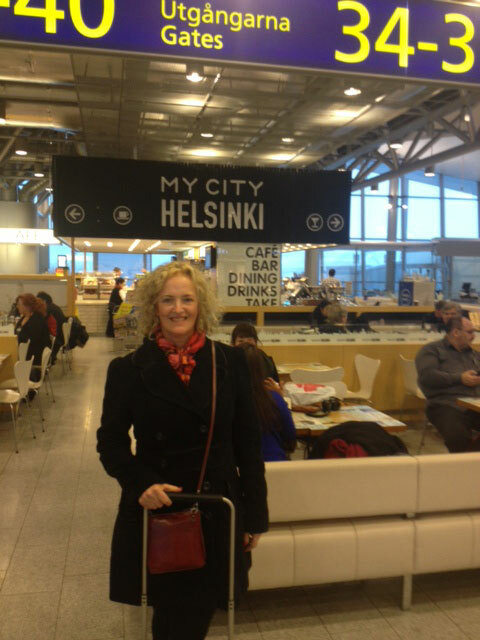 The travel news got even better when Mary and Julie were invited to Finland too. Their impressive sales record, business ideas and plethora of contacts had obviously preceded themselves amongst the PhysioMed international community! 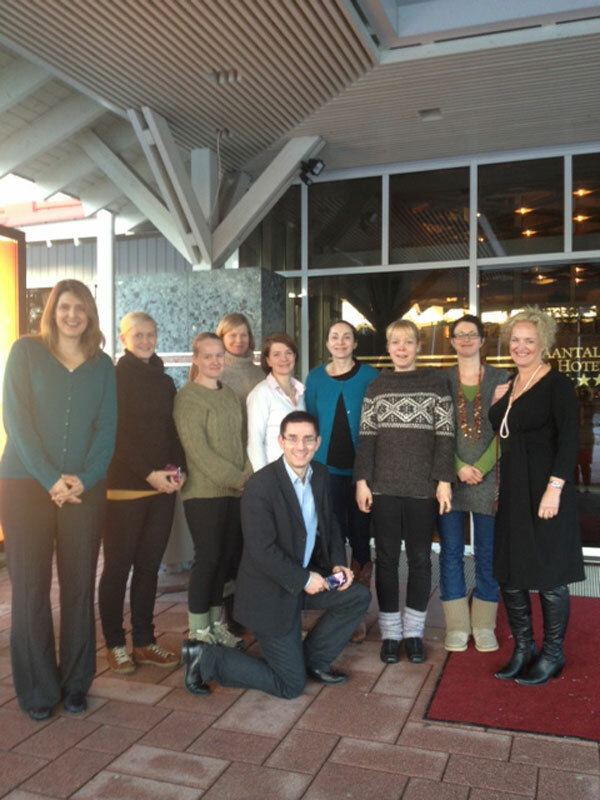 Jens kindly gave us a whistle stop tour of Turku in the early evening as well as a look around Saga Spatech's main offices, taking in their design and marketing departments, viewing their wide range of health products and discussing the latest scientific evidence behind the DEEP OSCILLATION® technology. 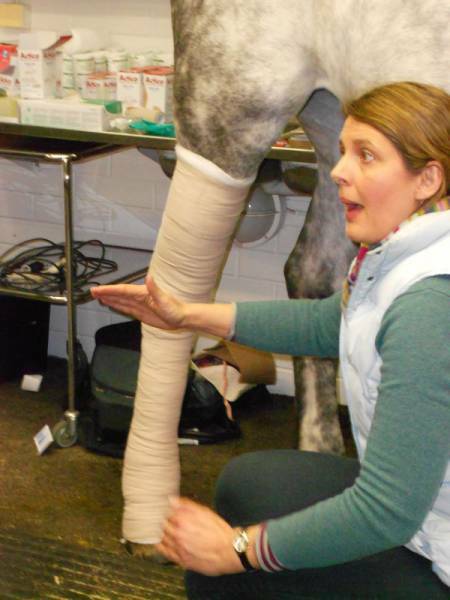 The course entitled "Lymph Therapy and Compression-bandaging on horses" started at 9am on Friday morning. A snowstorm and bad ice had meant some delegates could not attend, but we ended up with eight very committed and professional women, some of whom had travelled a very long way and some of whom were still on maternity leave. 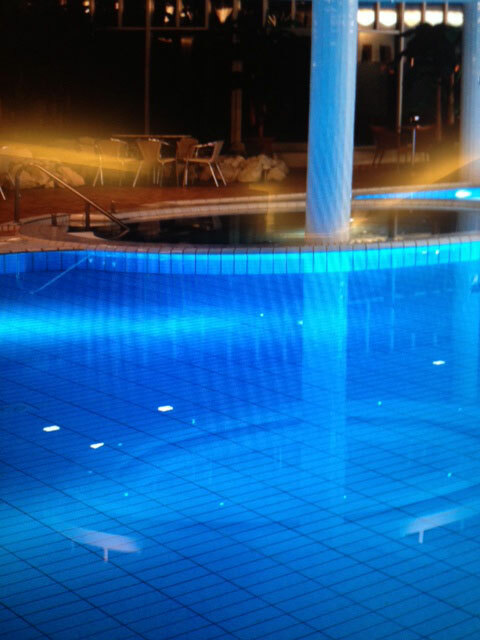 Jens had arranged the conference facilities superbly and the Spa Hotel exceeded all expectations. We covered the anatomy of the human lymphatic system first of all, due to the necessity to understand the terminology and mechanics of the system. This is not wasted knowledge as this is necessary before covering the equine side. Also, there is a greater availability of photos, diagrams and research documentation on the human side as equine research is still relatively in its infancy. We covered related subjects such as hyper-mobile joints and their possible effect on lymphatic collector vessels, the alkalinity of the ground substance and interstitial fluid, and a wide and interesting amount of questions were discussed and answered. 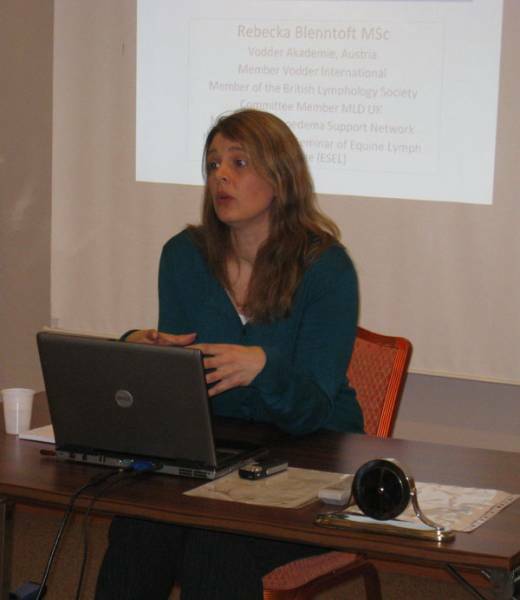 The second part of the day concentrated on both primary and secondary lymphoedema in animals, with specific reference to the horse. Indeed, most research has been able to be done on the horse as compared to other mammals because there is a delineation between the epifascial and subfascial collector vessels, similar to that of the human, which makes it easier to dissect and research. Equines have many of the similarities of the human lymphatic system, but there are also substantial differences, making them vulnerable to lymphatic disease. 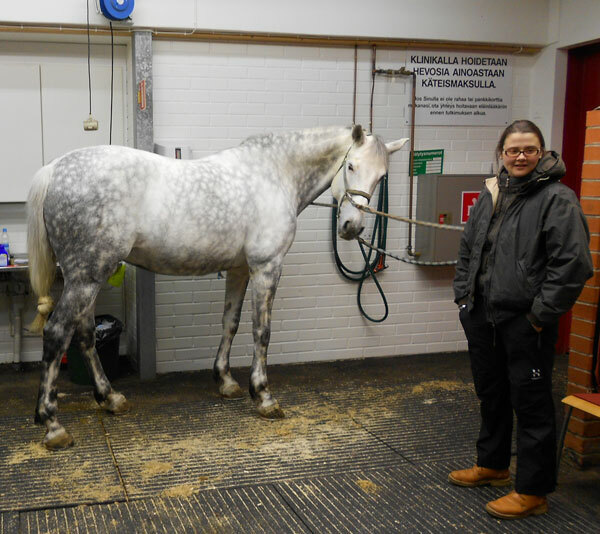 The second day was based in a local equine veterinary unit called Anivet in Turku, and we were able to use some of the equine patients as models. We started with a day of practical sessions - marking in the lymphatic skin territories onto a horse with chalk, and then using Kinesio Tape to solve three possible problems that might be encountered on equines. These sessions were done in teams, and there was a lot of discussion as well as some rather excellent taping thanks to the coloured strips kindly donated by Kinesio UK. I went on to demonstrate the lymph drainage technique and then delegates had the opportunity to use the DEEP OSCILLATION® units on the horses and ask Jens any technical questions they might have. I then talked about compression and demonstrated bandaging for lymphoedema, using the Actico bandages kindly supplied by Activa Healthcare for the workshop. We then discussed and looked at a vast range of wound care products that are safe to use under bandaging or under compression. This is because most horses will present with some kind of skin wound or localised infection once a therapist is called out to take a look at the lymphatic problem. We talked about compression garments and discussed the different ways they could be adapted in situations where they may not fit the equine patient as perfectly as desired, and discussed various work-round solutions. We were meant to finish at 5pm, but overran by an hour. Needless to say, each coffee break and lunch break was punctuated by lots of questions and discussions and it was super to share my experience with people unfamiliar with equine lymphoedema and its treatment. I felt that many friends had been made and new contacts and ideas had been formed. I am hoping that one or two of the delegates will be able to get out to the UK and come round with me on my rounds this year. Overall, I think the workshop was well received and I thank Jens, Mary and Julie for making it a memorable trip. 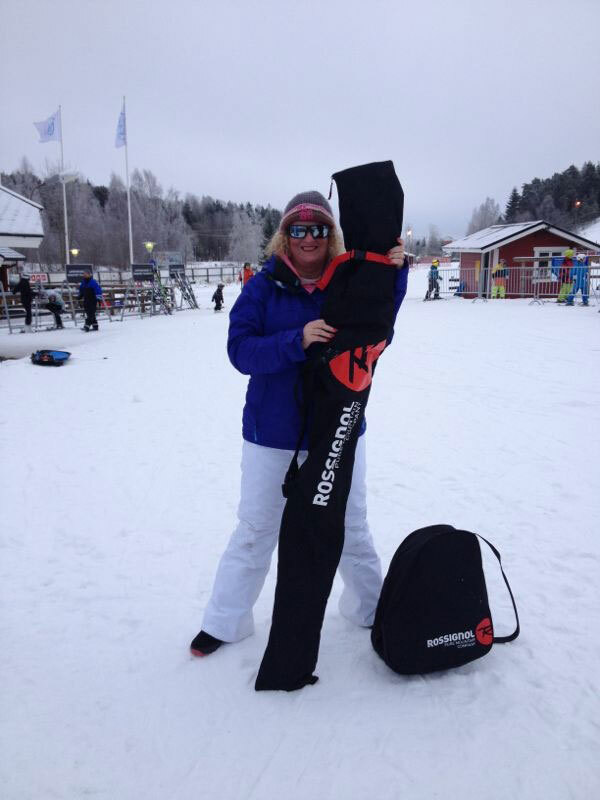 The intention of the lymph drainage course with Rebecca Blenntoft in Finland was to show to the Finnish Vet Physiotherapists the advantages of lymph drainage with its important complementaries like compression, kinesiotaping and the use of HIVAMAT® 200/DEEP OSCILLATION®. 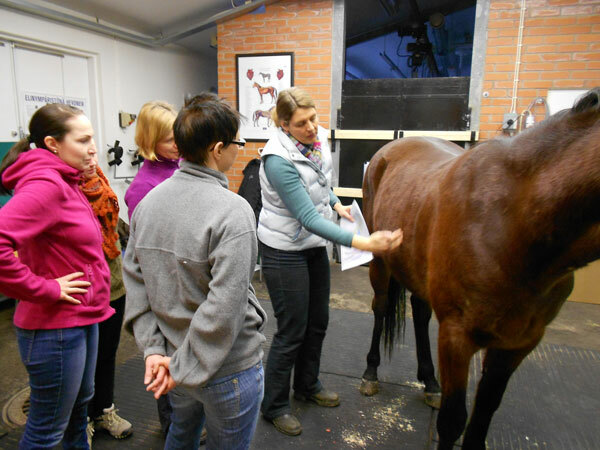 Althought the course was demanding, the participants of the course got a lot of new knowledge and tips for their equine treatments both at the Friday course at the beautiful seaside Naantali Spa Hotel and on Saturday at the wellknown vet-clinic Anivet in Turku. for further cooperation and networking with Vet Therapists in the UK. Julie and I have been in contact with Jens Grubl, the exclusive Finnish distributor of DEEP OSCILLATION® since 2010, when we met him and Mika Kuosmanen, his Group Manager at Medica in Dusseldorf. We "gelled" immediately and set about racing about the exhibition showing each other the latest exciting products discovered in our days of scanning the stands. Medica provides an excellent opportunity for distributors to learn about the new developments in their field and is a chance to leisurely discuss the new and exciting fields of application for DEEP OSCILLATION® around the World. The use of DEEP OSCILLATION® for equine began in the UK in 2007 when Julie applied it to "Buggy" the horse - it spread from there with many therapists taking on in the UK and Ireland with very effective results for pre/post training, injury, maintenance and aiding lymphatic therapy click here to read more Jens was very keen to learn about its application in the equine world and after many exhanges of phone calls and emails, Julie and I were delighted to received the invitation of Jens to Finland to accompany Rebecka Blenntoft, whose knowledge of human and equine lymphatics, compromised lymphatics, compression, wound healing and of course the application of DEEP OSCILLATION® is second to none. Read report of Lyn Hopegood of the School of Animal, Rural and Environmental Sciences, Nottingham Trent University, Brackenhurst regarding the presentation of her Poster on "The Physiological Effects of Massage and DEEP OSCILLATION® on the horse.. THE TRIP.. We arrived at Helsinki Airport in a snow storm, our connecting flight to Turku was delayed and we were kept on the plane for an hour whilst the storm passed over. They actually de-iced our plane, which I had thought was something we only did to cars on a frosty morning! Thankfully, the rest of the trip was without further weather disruption and we actually enjoyed some sunshine. 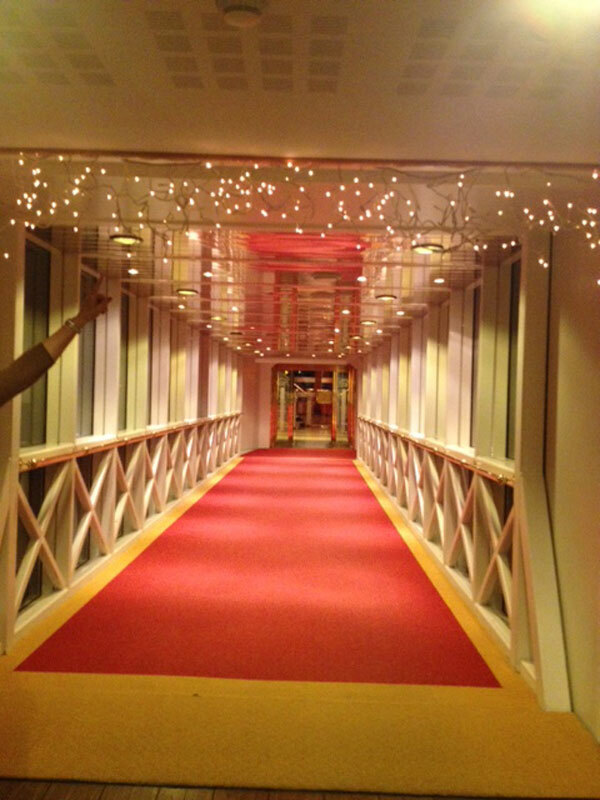 Jens Grubl met us at tiny Turku airport and we were chauffered back in the Saga Spatech transport to the exclusive 5 star Sunborn Yacht Hotel. 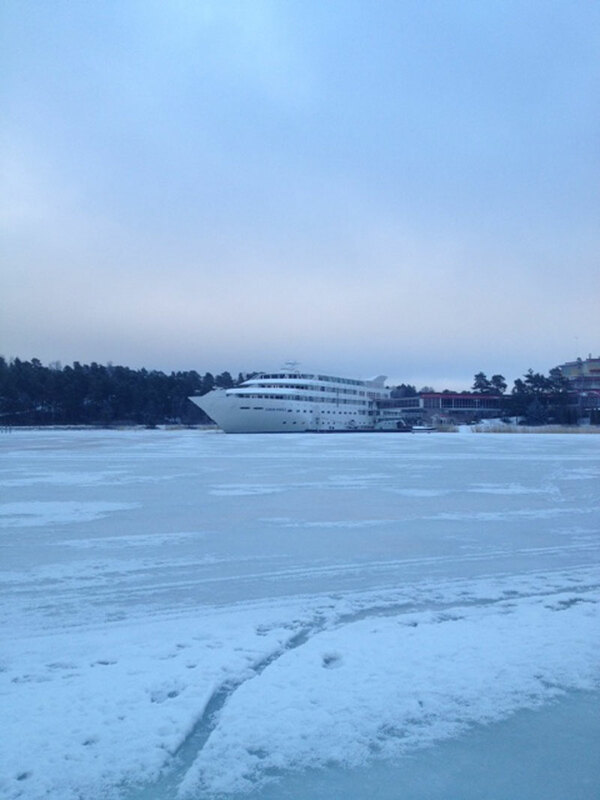 This is permanently moored in the bay close to the seaside resort of Naantali. 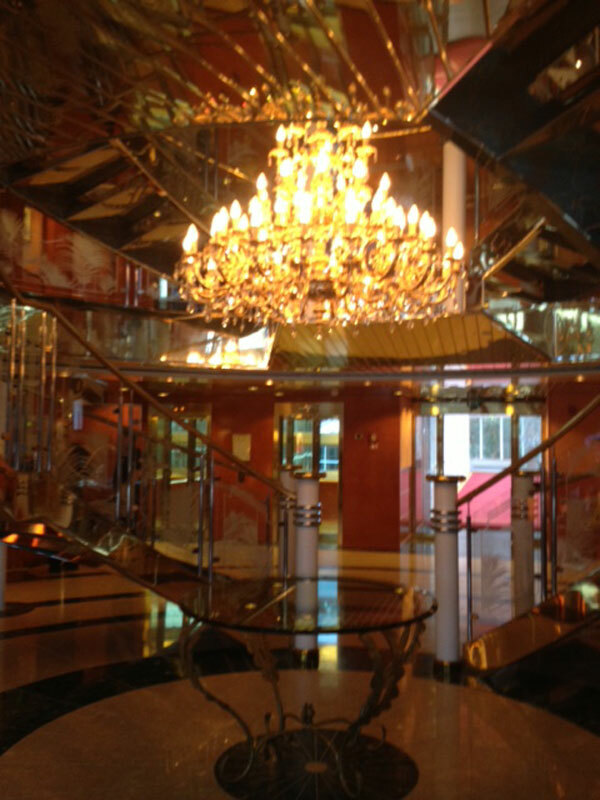 The yacht is actually connected to the main building by a short and spectacular, glazed gangway, where nearly all 140 rooms have a sea view. We stayed in a Superior Room with a balcony, apparently the Royal Suites feature a sauna and Jacuzzi too. Maybe we will get one of those next year?! A frozen sea, trees and a beautiful blue sky formed the view from our luxurious cabin, quite simply stunning! 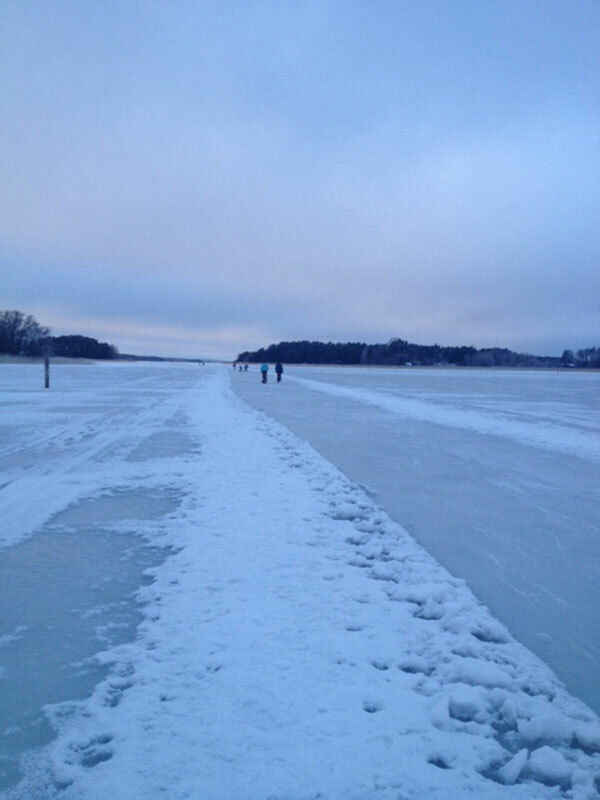 Aside from the excellent and informative course, we managed to enjoy the facilities of the spa area, both in and outdoors where the water temperature was perfect, we explored the pretty resort town of Naantali and we took a stroll on the frozen sea. 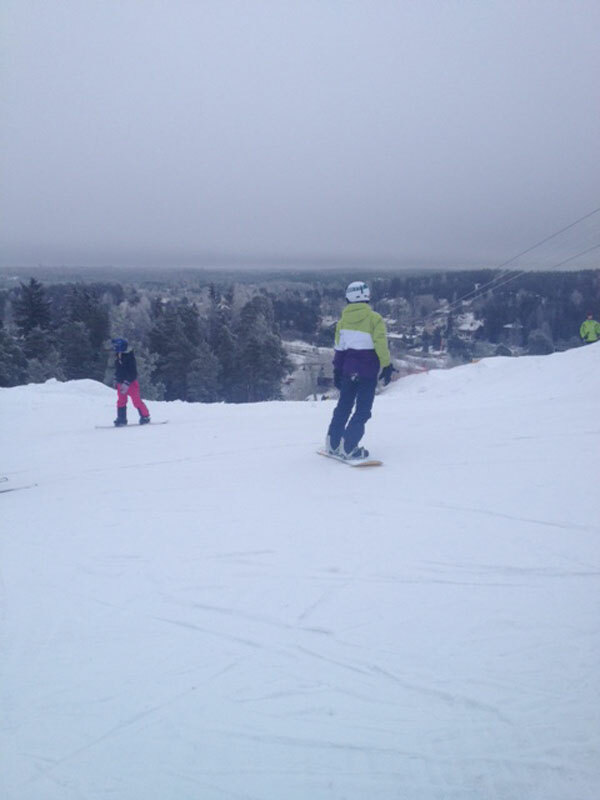 We even managed half a days skiing! Several interesting meetings and dinners took place with Rebecka and Jens during the trip and we were delighted to have a guided tour of the impressive SAGA SPATECH offices. The lady vet physiotherapists we met on the course were exceptionally bright (not surprisingly, as they have the highest percentage of university or other tertiary qualifications in the EU countries!) and they asked many "thought provoking" questions. We felt that they learned a lot from Rebecka and she too learned from the experience. There are, most definitely, exciting new equine times ahead in Finland. Thanks so much to Jens and Rebecka for making it a trip to remember. 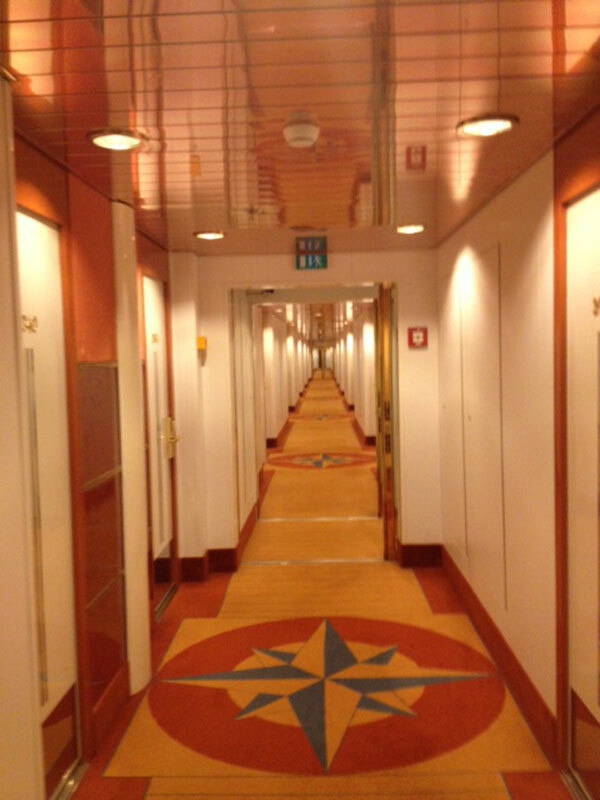 Our pictures give a glimpse of our Finnish trip. We look forward to our return visit next year Jens (I'm smiling!). 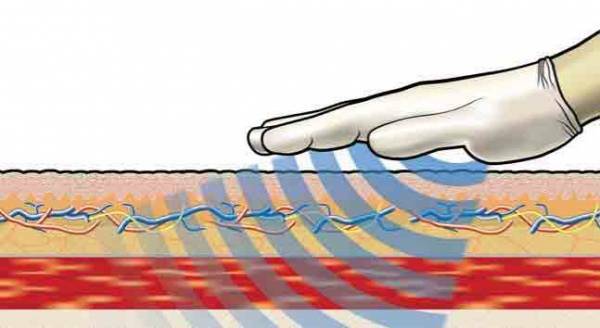 The DEEP OSCILLATION® PERSONAL SPORTS effectively used for human and equine lymph drainage. Rebecka demonstrates short stretch bandaging which have a very low resting pressure and therefore do not compromise deep lymphatic collector vessels. 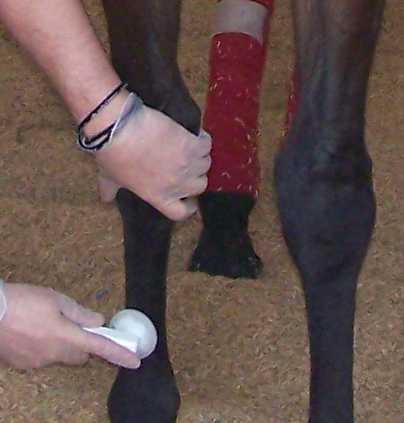 Bandages are applied with graduated pressure and horses can be turned out in them in flat, level pasture.